One sentence review: A sweet coming-to-age story rich with prose and sympathetic characters with a touch magic. This novella introduces the world of Whyland and the backstory to the main players of the upcoming Portals of Whyland series. For such a quick introduction, the novella is thoughtful, artfully written, and filled with personality-defining events. 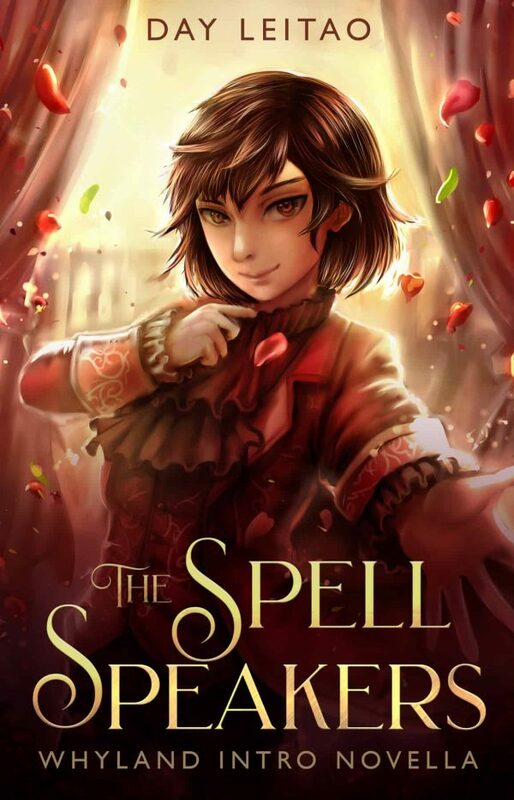 While I am sure you would be able to start the upcoming series without reading The Spell Speakers, I would urge you to pick up and start with it anyway. The tragedies of this short glimpse into our characters are worth experiencing first hand. Though young, even for a YA, the characters are easy to relate to and their motivations are realistic. (I would assume they are so young so they are late teens in the future series, which makes a lot of sense.) The antagonist, a mistreated older sibling, is as likeable as he is untrustworthy. The protagonist is young and innocent, but the reader watches as he matures, as he grows from victim of circumstance to a leader with a hidden agenda. The world was richly constructed and the conflict clearly portrayed. While the magic of the world is touched upon throughout the story, it does not have an active role in the course of events yet so it is not discussed in detail. Which works to peak the reader’s interest in the full series. I was surprised by the depth of the writing; it appeared to me that The Spell Speakers was a middle-grade story. I expected a shallow, but happy story. Leitao, however, delivers a story filled with unexpected philosophical ruminating and beautiful prose. She depicts love and tragedy appropriate for her young characters that resound joyfully and heartbreakingly in readers of all ages. Yet, because this is a book for younger readers, the plot twists are simple, the emotions are written with simple language, and often the dialogue moves the story forward. While I don’t see these as shortcomings, I warn adult readers that this is not a challenging book. These few pages have successfully enticed me into the world of Whyland and to finish the story that I’ve started. Thank you to NetGalley, Day Leitao, and SparklyWave for the eARC which powered this review. I look forward to the upcoming series with excitement.